Charter a private flight to Flagstaff and find yourself pleasantly surprised by an eclectic and charming city that prioritizes nature over business, and champions small business owners before chains. With its small town atmosphere, famously huge sky, and friendly locals, Flagstaff is sure to show private jet travelers a good time. Whatever brings you to Flagstaff, the best way to get there is via luxury private jet, and Phoenix Jet Charter is the best company to help you do just that. From round-trips to multi-city and empty leg flights, we can arrange any type of private flight. And, with a clientele ranging from top-tier business executives and A-list celebrities to first time flyers and seasoned private jet veterans, we have the experience necessary to ensure that your private flight experience is unrivaled in the industry. Our Wyvern certified jet charter representatives are available 24 hours a day and 7 days a week to ensure that your needs are met exactly when they need to be. And upon request, we can arrange everything from multi-leg private flights with gourmet in-flight catering to luxury ground transportation and private helicopter lifts. So request a quote now or give us a call to book your private flight to Flagstaff, Arizona. Flagstaff has a few hotels that stand out above the rest, most of which are chain locations targeted at middle-class travelers. But the few standouts are top tier resorts that private jet travelers are sure to enjoy. Take, for instance, the Hotel Monte Vista. This historic hotel has been a luxury Flagstaff tradition for nearly a century, and continues to deliver awesome amenities and impeccable service to their esteemed guests. On top of their deep history in the heart of Flagstaff, this hotel is famously rumored to be haunted and makes for some great exploring. And while Hotel Monte Vista makes for a great base for a weekend getaway, Flagstaff’s strong point is in its charming bed and breakfasts. One of the best options in this category is the Whispering Pines Bed and Breakfast, ran with personable hospitality and charm by Gayle and Tim. Now, regardless of whether you pick a resort, hotel, or bed and breakfast, you’re sure to enjoy your stay in this outdoorsy and fun city. However, it’s important to pick the right lodging for you, and that can be a bit difficult with so many options available. We’ve compiled a list of the absolute best lodging options in the area for luxury private jet travelers. Based on Flagstaff Jet Charter client feedback, online reviews, amenities offered, and location, there’s sure to be something on the list that strikes your interests; read on to check it out. Private jet travelers that aren’t privy to Flagstaff’s various charms will be surprised to know that the city is actually a popular tourist destination. It has ordinances that reduce light pollution, making it a top destination for stargazers, and plenty of other nature attractions to keep people of every interest busy. You can head out and see the place where Pluto was discovered, at the Lowell Observatory. Or you can spend the day reaffirming your relationship with mother nature over at the Nature Conservancy, or hit the Flagstaff Extreme Adventure Course if you’re feeling saucy. If you prefer the raw and real outdoors over carefully curated nature attractions, then the Coconino National Forest is the place for you. Set on two million acres of recreation, lumber, and mining land, you could spend days exploring and never see another person. Then of course, there’s the world-famous Grand Canyon National Park. Located about than 80 miles to the north of Flagstaff, the Grand Canyon is one of the most revered parks in the country, and a popular item on many traveler’s bucket-lists; over 5 million people visit the park annually. Many visitors make the mistake of just cruising along and pulling over for the occasional photo, however, the park offers so much more to visitors who make time to explore a little. Flagstaff is a great destination for private fliers looking to explore this natural marvel, with local airports and helicopter charters readily available within an hour’s drive of the city. 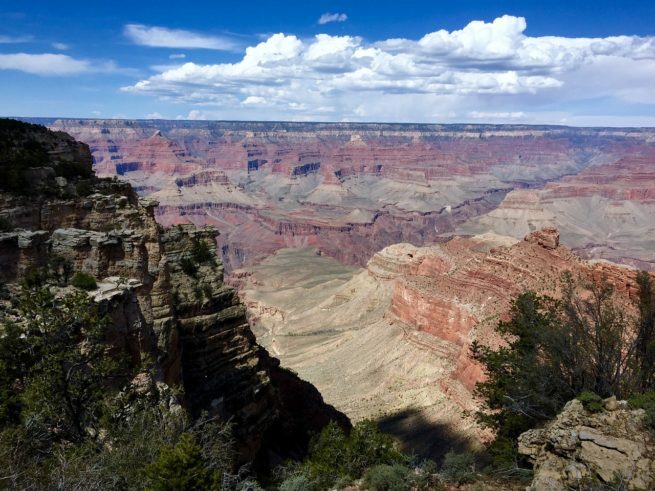 Learn more info about private charter flights to the Grand Canyon National Park by clicking here. For night owls that find themselves in Flagstaff, this outdoorsy college town definitely has plenty to offer in the way of nightlife. Most of the bars and clubs are targeted to the college crowd, but you’ll also find posh and elegant cocktail bars and sports bars that appeal to other groups. If you’re looking for a night out on the town but you don’t want to be surrounded by college kids, then head out to the Monte Vista Cocktail Lounge. Right in the heart of the purportedly haunted Monte Vista Hotel, this elegant historic lounge is a great place to kick back and have a few drinks in good company. Their highly trained bartenders will ensure that each drink is a new experience, and that you leave wishing you could stay a bit longer. The Arizona Snowbowl is one of the most popular resorts in the Flagstaff area, hosting weddings, special events and home to a 2,300-foot, the tallest in Arizona. The resort receives up to 260 inches of annual snowfall for perfect alpine ski conditions, and there are two lodges and five ski lifts for guests to access across the resort. Regardless of what you end up doing in the area, you’re bound to have a genuinely fun time. But with so many things to do in Flagstaff, it can be difficult to fit it all in to your itinerary. To help you narrow down the options, we’ve compiled a list of the most fun and interesting things to do in the area for private jet travelers. Phoenix Jet Charter utilizes the following airports to fly clients privately to/from Flagstaff, Arizona and neighboring areas. Request a Quote or give us a call at 1-888-987-5387 to speak with one of our Flagstaff Private Jet Charter agents for your next luxury vacation, business trip, or special event.